Pioneers in the industry, we offer sliding type heavy duty safety chuck, air expanding chuck, flange mounting type safety chuck, safety chucks, safety chuck and sliding type safety chuck from India. Safety Chuck - Sliding Type Heavy Duty & Light Duty offered comes in superior construction finish which makes these provide for long-lasting service usage. Air Expanding Chuck offeredcomes in quality construction finish and are well recognized in the market as quality and high-performance air expanding chucks. 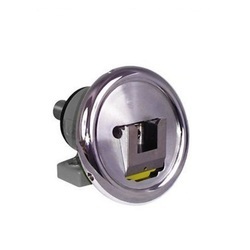 Finding suitability for 6" core ID, these come manufactured using high-grade material and are made available to the customer's competitive prices. 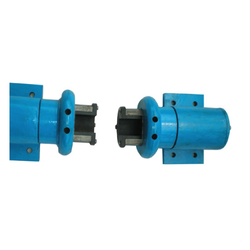 Safety Chuck offered can be made available by us in different configuration choices and as a square bar. Some of its features include provider functioning as sliding type safety chucks; coming with more square bar holding area in comparison to tilting type safety chucks; comes with the support of extended shaft on one side for fixing tension control brake; the size of square bars are decided based on the load and application. Safety Chucks offered to provide support as a square bar holding device Here, our expertise lies in making these available in standard and non-standard size options based on the specific requirements of weight these are used to handle. 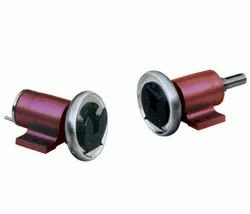 come with replaceable insert support; come with more square bar holding area in comparison to tilting type safety chucks; for fixing tension control brake, these are provided with support of extended shaft on one side. Safety Chuck offered provides for durable usage support and can be made available in different finish configuration as per the specific demands of the customers. 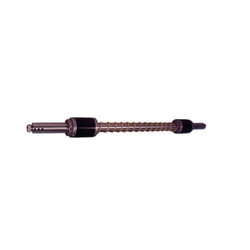 Sliding Type Safety Chuck offered comprise square bar holding devices that can support the holding of bars. Safety Chuck - Tilting Type (Foot Mounting) offered comes with the support of extended bar on one side that allows for the convenient fixing of tension control brakes. Further, these come with superior bar holding area which makes them more easy to use.